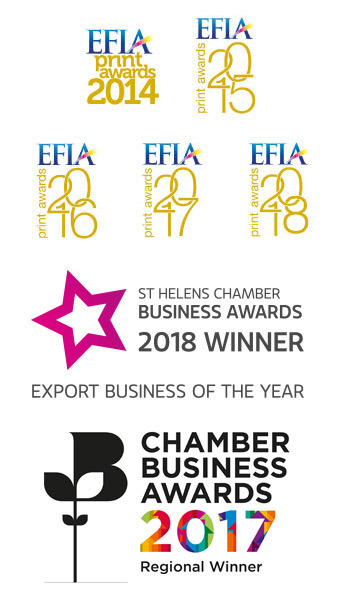 We are delighted to have won the EFIA “Supplier of the Year” Gold Award in 2019, 2018, 2017, 2016, 2015, 2014 and 2011 and the Silver Award in 2013, 2010, 2009 and 2008. What makes these awards so special is that they are selected from nominations directly from the European print community. Proving that we are continually delivering on our promise to deliver product quality and exceptional service to our customers. We remain the only anilox manufacturer to win such a series of EFIA awards. Sandon Global achieved this distinguished honour for our work on the High Volume Process engraving. The award is presented to the supplier who contributes through innovation to making advancements in print technology and thus improving print quality. Sandon Global are an ISO accredited company, which means that we maintain our high quality standards day in, day out.